Sr. Marilyn Ross was born in Kansas City, Mo. to a military family. She spent the first 18 years of her life living near military bases in New Jersey, Virginia and Floriida.. After her father’s retirement, she attended Glennon High School in Kansas City, Mo. where she was taught by the Sisters of Mercy. Inspired by the Sister’s commitment to their students, she joined the Sisters of Mercy in 1958 and for the next 20 years worked as a high school and adult education teacher. 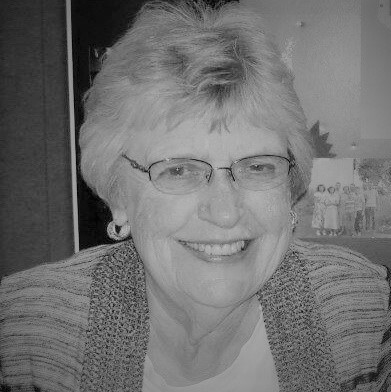 In 1982, after an internship with Mercy Housing, Sister Marilyn joined the staff of Holy Name Housing Corporation, a nonprofit committed to the revitalization of North Omaha Neighborhoods, primarily by renovating and constructing affordable housing and securing financing that provided lower interest mortgage funds for low and moderate income families. After her retirement in 2015, Sr. Marilyn continued to serve on the Board of Directors of North Omaha nonprofits that shared her commitment to a better quality of life for the residents of North Omaha.